My printmaking practice over the past two years has drawn from maps/mapmaking as a prime source of imagery. Venturing into the world of book arts, I used this project to create an experience for the viewer that not only incorporated maps, but also what they represent: a history of human exploration as well as the potential for future expedition. I intended to use a multitude of new techniques learned over the course of this program, to push the relationship of how ink on paper is presented. The project is called A Portrait of Exploration and is designed to resemble an explorer’s study. 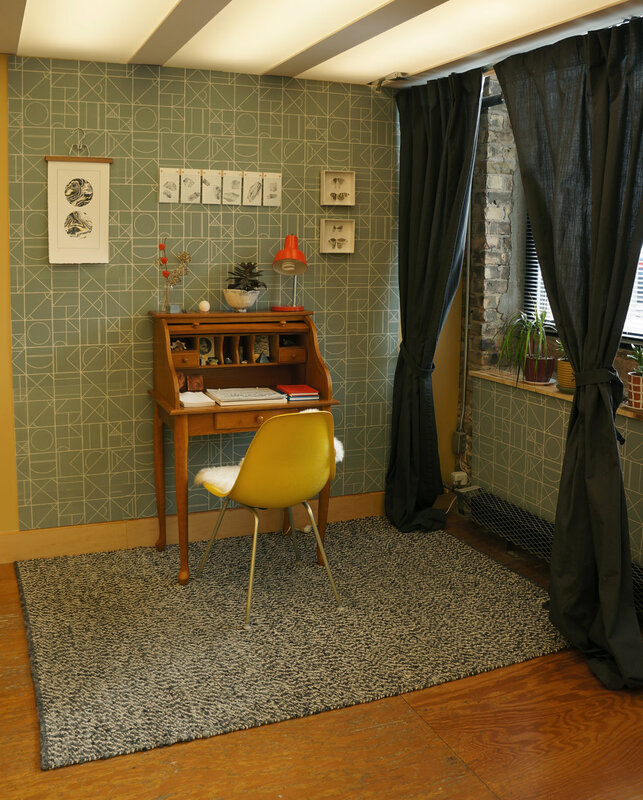 I designed, printed, and assembled everything in the installation that is paper—even the wallpaper. The other items and props were found, borrowed, or collected specifically for this project. I wanted to create a physical space for one to explore and craft a mini environment where curiosity drives the experience.